Discussion in 'RTR Trackwork' started by Ben Alder, Nov 6, 2017. I got my hands on the new bullhead points today, and am very impressed with them. 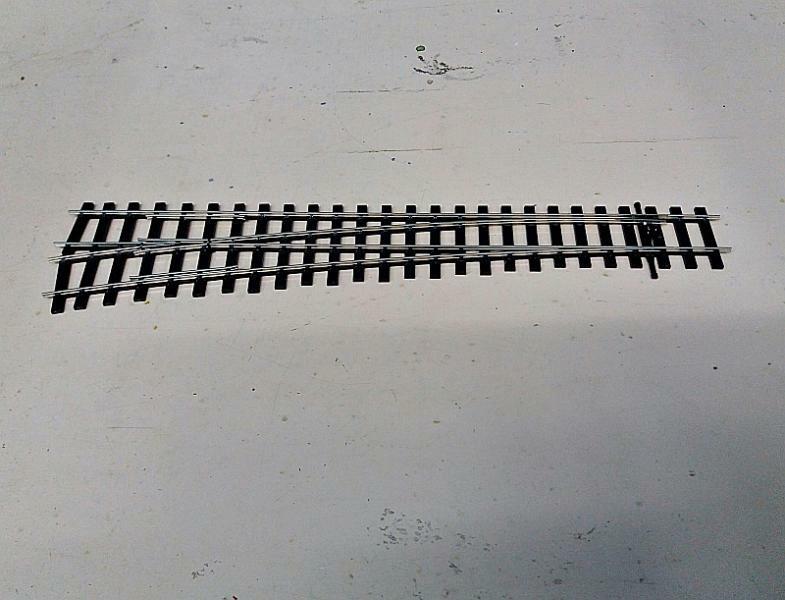 Despite being made to the Peco geometry and not really representative of actual UK PW, they are are vast step forward in 00 trackwork, and hopefully will herald the start of a full range of 00 PW rather than the HO track that was for most the only option for far too long. Here are a couple of snatched phone pics taken tonight that should show the impact of this release. 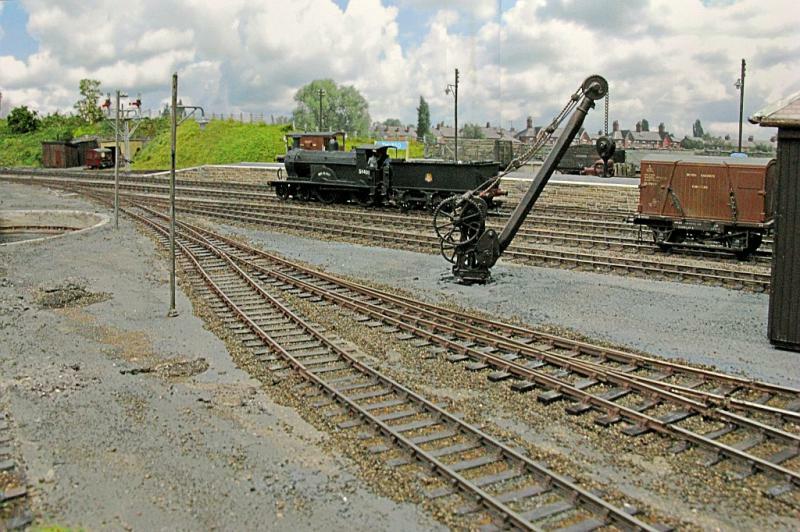 The BH point below a Code 75 medium radius HO/OO one. 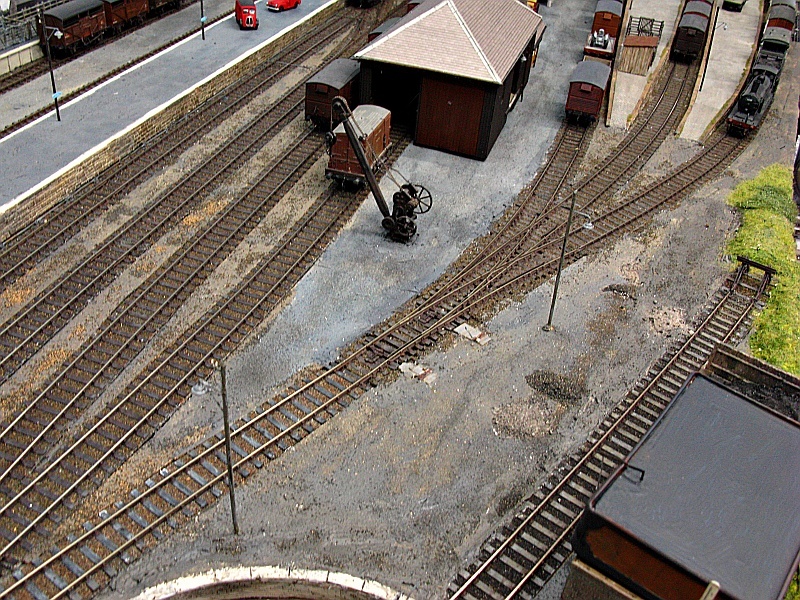 A bit of C&L track laid alongside the point. I used this track with altered Code 75 points up to now but from now on it will be the Peco points, hopefully with an expanded range to come. Lastly, a borrowed image showing the underside. They have the stock rails bonded, giving reliable electrical continuity with a dead frog , which can be made live with an accessory switch or a frog juicer. 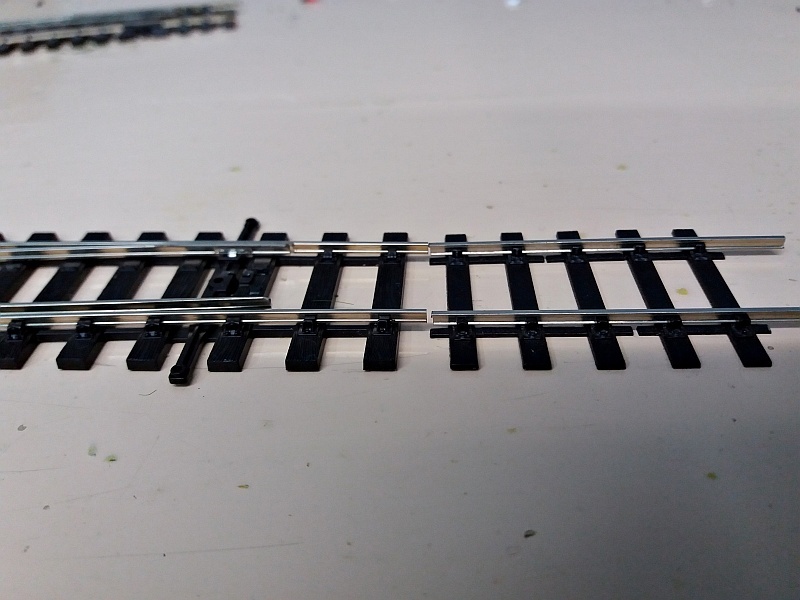 An interesting feature of this point is that both roads are wired live and not switched by the blades as previously; OK for DCC but DC users might need to consider isolating switches in some circumstances. I am planning to incorporate a couple of these into my existing layout and will report back in a week or two when this is done. The new BH point does look good and equally as good, is the sleeper spacing. Reading Martin Wynne posts too much ? I laid a couple of these points as a trial recently, and must say I am very impressed with them. I left them as Unifrogs and have had no problems at all with slow running over them. Here are a couple of shots of them; firstly of the existing 3 way point that was lifted and replaced with two of the new ones. A great improvement over the standard points, and look good in place as well. 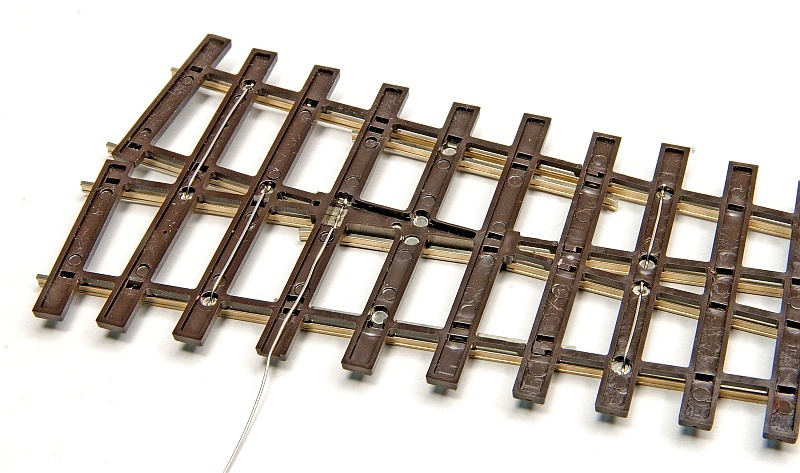 I like how they have a continuous switch rail rather than a hinged one. 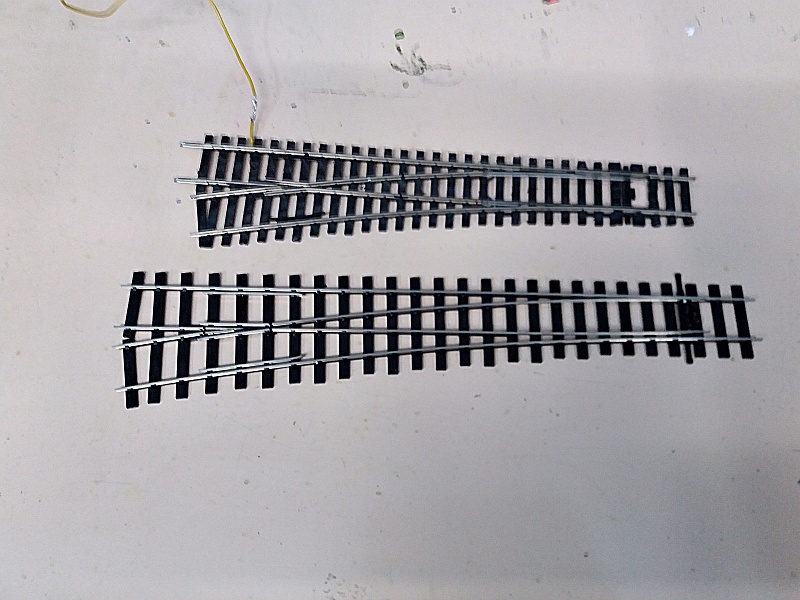 I suspect that this may be more difficult with a flat-bottom rail section. 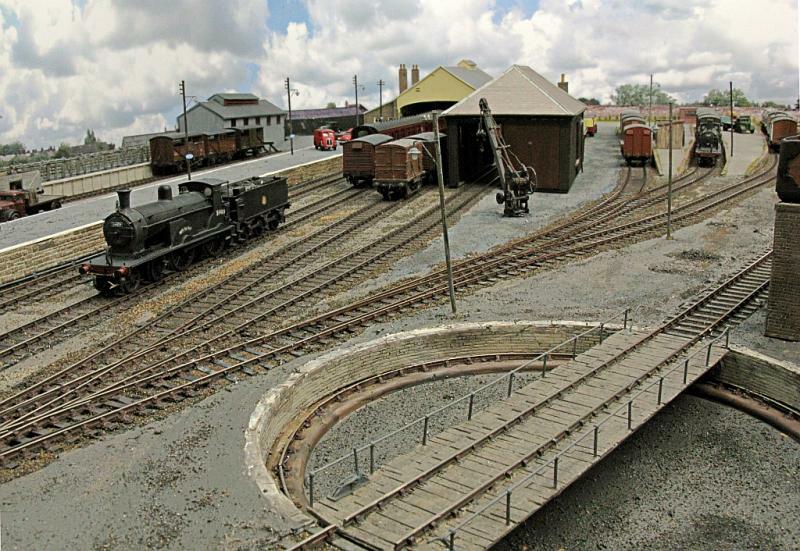 I have six of them and am looking at putting together a shunting layout with them. Tillig turnouts are flat bottom rail and the blades are continuous and no problems with manual operation or slow action motors. dpaws, hartleymartin and jakesdad13 like this.